Learning how to skillfully and safely jump on snow is a key element of big mountain competitive skiing. Learning how to skillfully and safely jump on snow is a key element of big mountain competitive skiing. It also presents opportunities to make free skiing, in general, very fun. 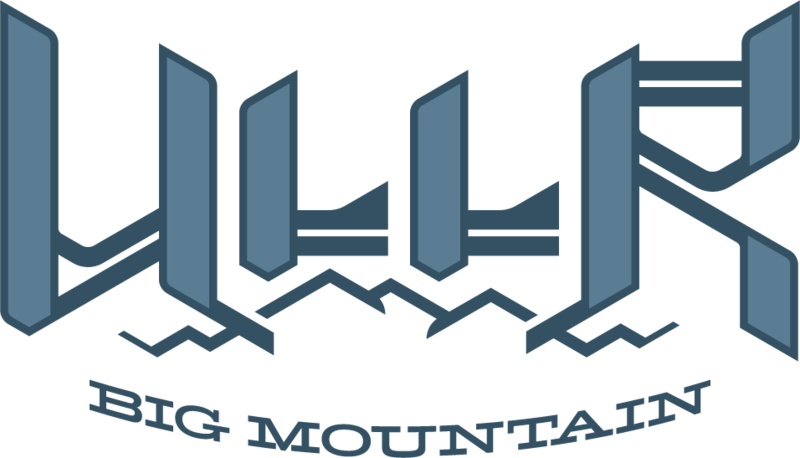 A central priority of the Ullr Big Mountain program is to provide expert coaching on the basics of jumping on snow, and then, should the athlete choose, provide coaching for spins, inverts, the basics of multi-axis aerials, and jumping switch. To be clear, inverts are not allowed in junior big mountain competitions, but most of our athletes have personal reasons for pursuing aerials and we prefer they learn under expert guidance rather than heading off and attempting this kinds of tricks on their own. The jumping program begins with fall dryland, which allows the coaches to properly assess the athletic ability of each athlete. We begin with conditioning (a maximum of once or twice a week) and trampoline training. We then add trampoline skis to the tramp training, and also use either Red Deer water ramp or the COP air bag to begin preparation for snow. The kids have the option in November to do a trip to Whitehorse (Mt. Sima) for early air bag and terrain park training. Once the kids are locally on snow, we focus on terrain park jumping as well as off-piste jumping and cliffs. We then pepper in the odd air bag session at COP, over the season, to help the kids learn new tricks safely, or fine tune old ones. When it comes to inverts, we follow Freestyle Canada guidelines. For the athlete’s first invert, the athletes are required to do 50 perfect jumps on air bag, or water ramp. They then do a 5 jump test and, from there, they are required to do 15 perfect on-snow jumps under coaching supervision, and then another 5 jump test. After that, we continue to provide careful supervision, and ‘brush ups’ each season even though the athletes are then allowed to do tested jumps on their own.